Local police chiefs have at least one more thing in common. Both Terry Timeus, chief of police in West Linn, and Dan Duncan, who heads the Lake Oswego Police Department, said they would like to talk about Eric Losness, but can’t. Like an unknown number of other union-protected police officers in Oregon, Losness signed a nondisclosure agreement with the city of Lake Oswego in April 2006 in exchange for $29,301.03 and his resignation from the police force. Now, anyone with access to his personnel information is prohibited from talking about his eight years as an officer in the Lake Oswego Police Department. Duncan and Timeus now imply that Losness has used those legal protections to marshal malcontented former officers from the Lake Oswego Police Department into making a complaint to state officials about former colleagues. Losness’ complaint, filed with the Oregon Department of Public Safety Standards and Training Feb. 11, 2008, is designed to discredit Timeus and the Lake Oswego Police Department, Duncan and Timeus said. • Click here to read a summary of the West Linn investigation. “I think this is disgruntled ex-employees that are trying to throw (aspersions) on prior fellow officers and the Lake Oswego Police Department because they have no other recourse than to do this. And I think they know that this will be kind of one-sided since we can’t really speak openly about them and some of the issues while they were employed here,” he said. Losness disagrees that his motivation was to discredit anybody and said he felt that filing the complaint was the right thing to do. This story is part of a series examining conduct by local police officers. On Feb. 11, 2008, a former Lake Oswego police officer, after a feud with the city, filed a formal complaint with the Oregon Department of Public Safety Standards and Training. The complaint took aim at Terry Timeus, now chief of police in West Linn, and Darryl Wrisley, a lieutenant in the Lake Oswego Police Department. West Linn hired an investigator who found little reason for concern. This newspaper’s investigation of the same complaint, however, found that officials in the Washington County Sheriff’s Office determined Wrisley sexually assaulted a woman while on duty as a deputy there in 1992. It also found that Timeus, a long-time friend, helped Wrisley to salvage his career while the law enforcement community buzzed with talk about the incident. The name of the alleged victim is printed with her permission. He said he resigned from his job because of pressure from management after “nickel and dime” internal investigations – arriving minutes late to calls, having too many ride-alongs in his patrol car and parking badly minutes before a drunken driver’s vehicle struck his patrol car. While Losness said he was bored with police work before he left it and that his lack of enthusiasm was probably evident in his performance, he resents being pressured to leave the department while other officers accused of serious misconduct, like Timeus, a former Lake Oswego Police Department captain, and current Lt. Darryl Wrisley, thrived. “I had always talked to these other people that felt nobody would take charge and try to do something like this, even though everybody I talked to thought something ought to be done,” Losness said. His 25-page complaint to state officials read like the plot of a rogue-cop movie. Amid charges of racism, gay bashing and sexual escapades by Timeus, his narrative told tales of former detectives for a regional drug task force partying on a yacht with prostitutes, drugs, filet mignon and the sponsor for the television show COPS. The complaint also included information that Wrisley may have been fired from a law enforcement job following allegations of sexual assault in the early 1990s. Documents obtained by this newspaper through a public records lawsuit found there was merit in that latter claim. An internal investigation by the Washington County Sheriff’s Office did find that Wrisley, a former deputy for the county, assaulted a former dispatcher, Kay Vandagriff, in her home Dec. 11, 1992. Wrisley was fired in response to the incident but later reached a settlement in which he agreed to resign in exchange for $20,000 and a settlement that sealed Vandagriff’s allegations. Wrisley was also arrested on charges of assaulting his wife and drunken driving July 8, 2000 while employed with the Lake Oswego Police Department but again kept his job. Documents and interviews with current and former law enforcement officers and officials show how Wrisley was able to remain a police officer. He did so not only with help from a police officers’ union and laws that make it hard to fire police but with assistance from well-connected friends, including Timeus – then a corporal in Lake Oswego – and Duncan, who was a patrol sergeant at the time. Losness said he had mixed feelings about the finding. It took an investigation by this newspaper to unearth problems. More than a year ago, the Oregon Department of Public Safety Standards and Training referred Losness’ complaint to the city of West Linn. Citing limited jurisdiction and a policy to defer complaints to the officer’s employer, the agency tapped West Linn City Manager Chris Jordan for a response. That response probed potential wrongdoing by Timeus, but did not make any inquiry into Wrisley’s prior history since Wrisley was employed with another city. Instead, the inquiry led a city-paid investigator, Rod Brown, to query roughly 125 potential witnesses and spend 45 days dialing for interviews, recording face-to-face meetings and sifting through files to determine whether Timeus ever broke any laws or violated city policies. But since a lengthy report summarized Brown’s findings in May 2008, no one but West Linn’s attorneys has ever seen it, city attorneys and city officials say. Not Jordan, according to his statements. And not any of the people tasked with running the city of West Linn – its mayor Patti Galle, its former mayor Norm King and seven elected city councilors who have held office since the investigation began. The report was instead handled by city attorneys Tim Ramis and Bill Monahan, both from the Lake Oswego-based law firm Jordan Schrader Ramis. Under laws that protect attorney work-product from public disclosure, the duo directed the inquiry and delivered only a two-page memo to city officials in response. In an interview with this newspaper, Brown said he was not permitted to discuss the circumstances leading to his conclusions. He said the majority of the complaint appeared to be derived from second- and third-hand sources, honest but attributable to police department lore. “I believe Mr. Losness absolutely believed everything that he was saying, I think he was sincere in his beliefs, but there were very few of the allegations that were made that could be directly attributable to Mr. Losness as being the first person, the direct source of information, so therefore I had to go out and try to find the direct sources of information,” he said. His overall conclusion found Timeus to be worthy of his current job. “Do I think Terry Timeus is qualified to be a chief? Absolutely. Do I think Terry Timeus is doing a good job as a chief? Absolutely. Do I think the issues that are alleged have current validity? Absolutely not,” said Brown. “The allegations here are targeted at very few individuals. You have to ask yourself why just these individuals when you know the same culture was systemic – not just in a particular police department – it was systemic throughout the industry,” he said. Brown’s inquiry exonerated Timeus on five of the allegations, did not sustain three and concluded seven others were unfounded. In their memo, Ramis and Monahan note that while no other behavior violated “a statute, ordinance, policy or rule,” city officials might consider certain acts by Timeus inappropriate while he was employed in Lake Oswego. They suggested adding language to his employment contract to reinforce expectations of personal behavior. They also suggested the city offer training to Timeus to correct any problem areas and offer training to all police with an emphasis on offensive behavior based on gender or sexual orientation. Though Jordan was asked whether he wanted to review a copy of the report, he said he did not. “I don’t get stuck in the weeds,” he said, adding he relies on contractors like the city’s attorneys and human resource officials to point him to problem areas. As long as no one in West Linn ever reads the report, the document will remain out of public view. 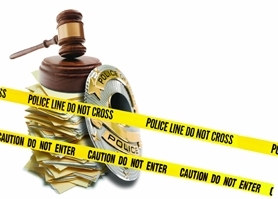 Though Oregon law prevents disclosure of internal investigations involving police officers if those investigations do not yield discipline and if they are not considered to be in the public interest, the city took no chances. Its use of an attorney made certain that, should any wrongdoing be found, the investigation would still be kept quiet. The Oregon Legislature adopted new laws June 20, 2007 specifically banning the practice of using government lawyers to hide investigations of public employees. But West Linn’s approach skirted those rules because, according to Jordan, the document was never read by a city official or used to take action or make policy. The Clackamas County District Attorney’s Office, asked by this newspaper to order the release of the report, legally could not. In a letter saying so on Feb. 19, senior deputy district attorney David Paul expressed concern. “… The manner in which this matter was handled has the appearance of being designed to prevent public disclosure,” he wrote, noting public policies in Oregon favor public access to government records. Officials in West Linn say they only want to keep their police chief safe from critics like Losness, who appear intent on discrediting Timeus despite his successful efforts at righting a badly damaged police department. For proof Losness’ complaint was motivated by anger, they point to his application to the city of West Linn for a police officer’s job after Timeus became chief there.